FLAWLESS MAKEUP APPLICATION! 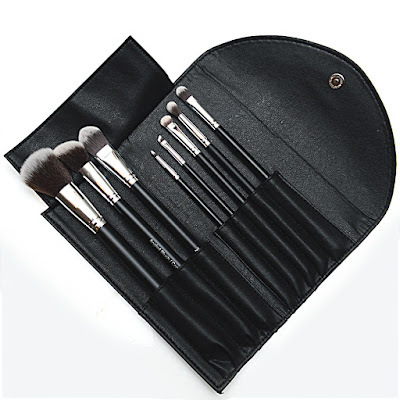 ✔ This premium quality synthetic makeup brush set is all you need for a flawless full face makeup application. All the brushes that you'll ever need is included in this handy set for those beginner or professional makeup artists. Whether it's for everyday or a party, all the tools you need to achieve these looks are given in this set! MAKEUP GUIDE INCLUDED! ✔ An ebook full of professional tips and tricks is included with this purchase of this brush set. Find out how to use these versatile brushes as they can all be used in more ways than one. INCLUDES SLEEK MAKEUP BRUSH BAG! ✔ Storing and carrying this great collection is no problem with the travel-friendly faux leather case. This smooth, matte black case offers individual slots for each brush and folds up with ease. Whether you're on the go or simply storing them, the brushes are all together in one place. GREAT GIFT! 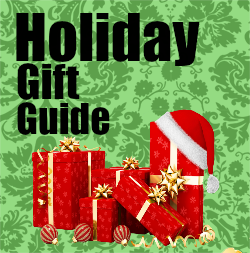 ✔ Struggling to find the perfect gift for your best friend/sister/girlfriend/mother? This professional makeup brush set is perfect for all those makeup lovers out there! 100% SATISFACTION GUARANTEED! ✔ These luxurious make-up brushes will not shed after washing given the correct care! See below for easy instructions on how to wash and maintain your brushes. Our world class customer service guarantees your satisfaction with our premium product! We are here to ensure your happiness with creating the perfect look! So what are you waiting for? Order now to start applying makeup like a professional now! I love the travel case the most with this set. It is more convenient than others I have had in the past. Others allow things to get into the bristles by not having a covering over them. I feel like this is a set that when I am in a hurry I can toss it in my bag and run. It is great for travel because it has all the basics. I have been wanting a good lip brush and I really love the one in this set. They include a free ebook with purchase of the set. It talks about tricks that are used in model agency's and why this brush set is the only 8 brushes you need. I Love how these synthetic brushes feel. As a beginner when it comes to working more with brushes I love that these tell you what they are on the bottom. Sometimes I forget what a brush is because some look so much alike. I haven't mastered the whole blending 2 color shadows together yet so I love that it has both brushes I will need to practice. Head over to Amazon to purchase.